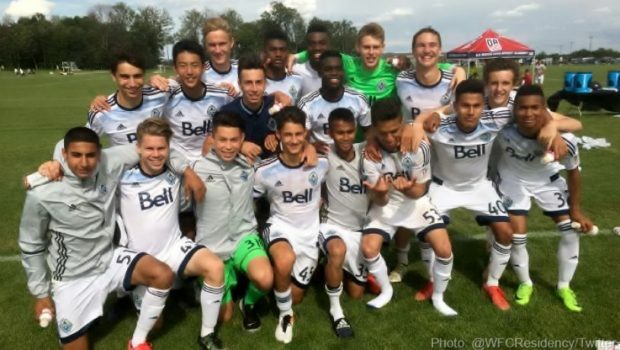 Vancouver Whitecaps U16s are out to make some history this weekend. It’s the first time that the ‘Caps 16s group has made the semi-finals of the USSDA playoffs. The U18s have been there twice before, making the USSDA Championship game in 2012 and 2016, and suffering close, heartbreaking losses to FC Dallas on both occasions. Will it be a case of third time lucky for the ‘Caps this weekend? 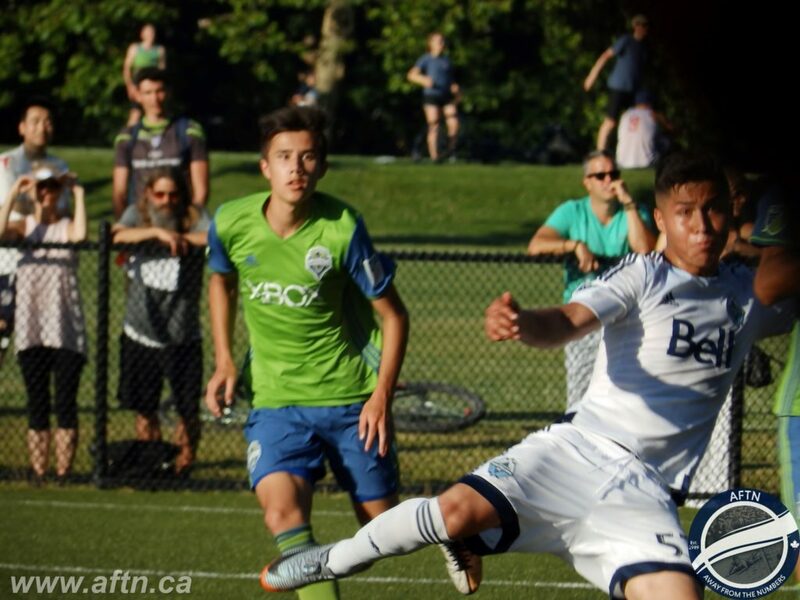 Having made the quarter-finals for the third time in the past four seasons, the young ‘Caps were clinical in their 3-0 quarter-final thumping of Seattle Sounders last Thursday. Alessandro Hojabrpour, Jose Hernandez, and Jefferson Alade were the goalscoring heroes against Seattle, as they have been throughout the season, and confidence is high as they head into Friday’s semi-final with Atlanta United. For head coach Adam Day, this will be his third playoff campaign with the U16s, and after falling short the past two seasons, qualifying for the final four means a lot to the program, the players, and Day himself. “Very pleased of course but more excited for the boys than anything else,” Day told AFTN when we caught up with him this week. “I think we have been unlucky the past two seasons. We were beaten on penalties in 2015 and last season, I felt Dallas and us were the two best teams in the league and we should have been in that final with them. Day was away in England on a coaching course and unable to take the team for their quarter-final Cascadia derby last week. Watching from afar, he was impressed by his team’s performance, but not unsurprised. So how hard was it for him not to be there to oversee it all? “It probably went according to plan if I’m being honest,” Day told us. “We knew there would be some nerves and Seattle would have their moments, but we reiterated the need to score first. We know we have those ruthless periods in us where we can finish games off in just a few minutes, and we did just that. Day is back at the helm as the team travel down to LA for this weekend’s Final Four showdown. Standing in the Whitecaps way of a place in the USSDA Championship game are Atlanta United. Atlanta are the second seeds for the semi-finals, Vancouver are third, and although they provide formidable foes, the free-scoring ‘Caps are equally as large a threat to them. Atlanta won the Southeast Division of the East Conference by three points from Capital Area Railhawks. Their record of 19 wins, seven draws, and four defeats was enough to see them ranked as the third best U16 side in North America (the ‘Caps were eighth) for the playoffs, where the beat Montreal Impact, Chicago Fire, and the Players Development Academy to win their group. That set up a quarter-final at home to Bethesda SC last week, which they came through comfortably, 4-1. The dangerman certainly looks to be James Brighton. The striker has 21 goals on the season from 31 matches, with two in this year’s playoffs, including the first against Bethesda. “Yes, he has been their talisman all season so he is an obvious threat but we won’t treat him any different to anyone else,” Day told us. “I believe our old Foe from Georgia United – Andrew Carleton – played in their quarter final and so I expect him to also play. He is also a fantastic player and has played in the MLS this season, so they will be their key players going forward. Carleton had just turned 15-years-old when the ‘Caps lost a heartbreaker on penalties to Georgia United in 2015. Carleton scored two goals and the winning penalty that night, so the ‘Caps know the danger he poses. Now 17 (I know but he is still eligible due to his June birthday), Carleton signed a MLS deal with Atlanta United last summer and made his MLS debut in May when he came on for the last four minutes of the 4-1 win at home to Houston. But Vancouver have their own threats. Jose Hernandez (pictured above) has 23 goals this season and has scored in all four of the ‘Caps playoff matches so far. As has Jefferson Alade, who has looked fantastic in the second half of the season since returning from injury, and has hit 11 goals this year. Michael Baldisimo will be heading down from the USL team to play in the Final Four, having also played and scored in that match against Georgia United two years ago. The Whitecaps match up well with Atlanta and it should be an entertaining and highly competitive game. 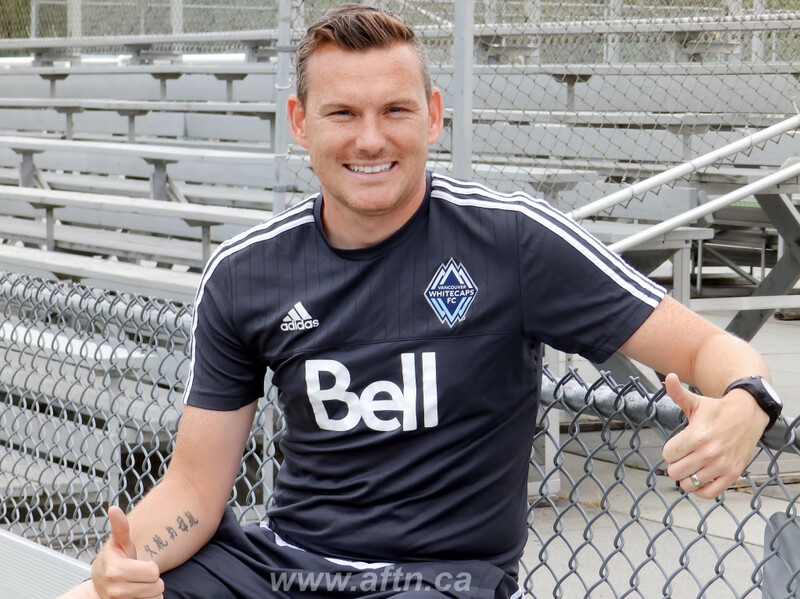 Kick off is 3pm PT on Friday and it will be stream on the Whitecaps website. It’s an all-MLS academy final four, with top seeds FC Dallas taking on Real Salt Lake AZ in the other semi-final. With three of the four U18 semi-finalists also MLS academies, are we starting to see a shift in the USSDA dynamics where the smaller, independent academies are starting to be over-run by MLS clubs securing better talent than in previous years? “Yes, I think the MLS clubs are improving their infrastructure season by season,” Day feels. “The development ideology is more at the forefront now and there is more emphasis on how to develop top talent versus winning, and its beginning to show in our Academies. As clubs increase their budgets, staffing and support networks, the players are only ever going to benefit and improve.